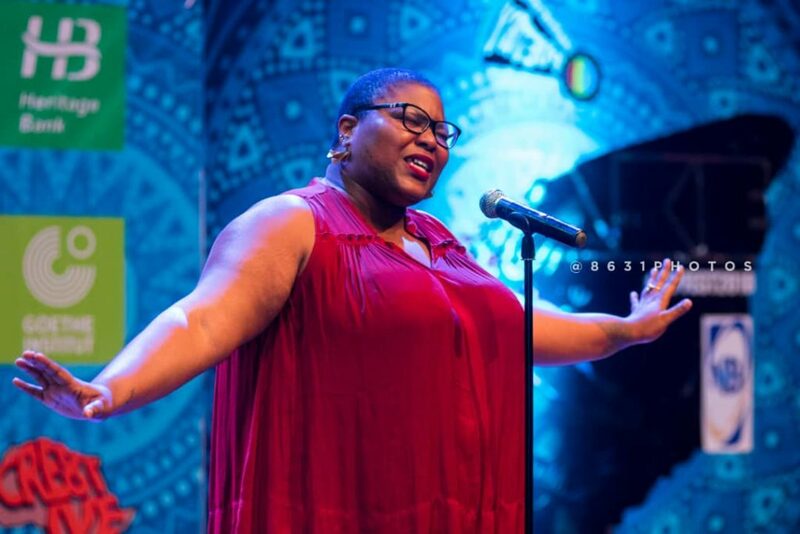 Wana Udobang, also known as Wana Wana, is a Nigeria-based poet, journalist, documentary filmmaker, radio presenter and tv personality, whose production is at the intersection of women’s rights, social justice, healthcare, climate change, culture and the arts. Born in Lagos, she then graduated in the UK with a first-class Degree in Journalism. The experience in that country was very important to her. 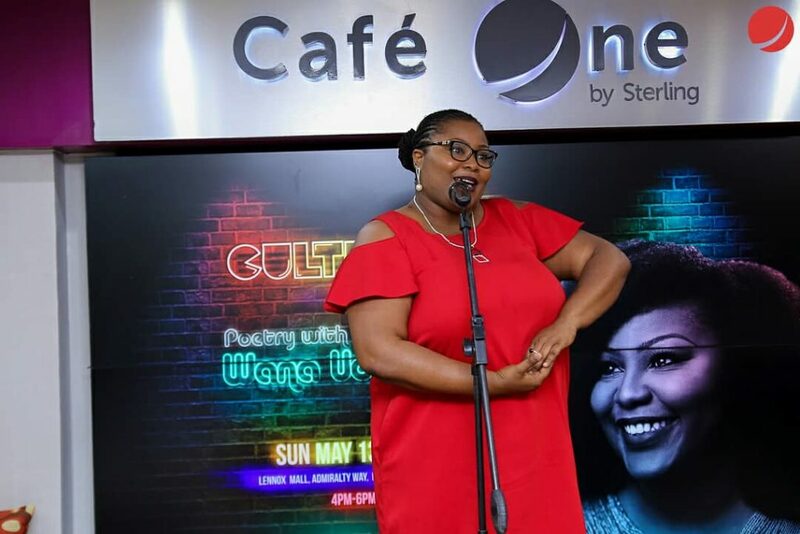 Later Wana moved back to Nigeria where she worked as radio presenter for the most listened flagship program, called Sharing Life’s Issues. In 2015 she decided to go freelance, producing and presenting radio documentaries as a freelancer and writing for a number of publications. 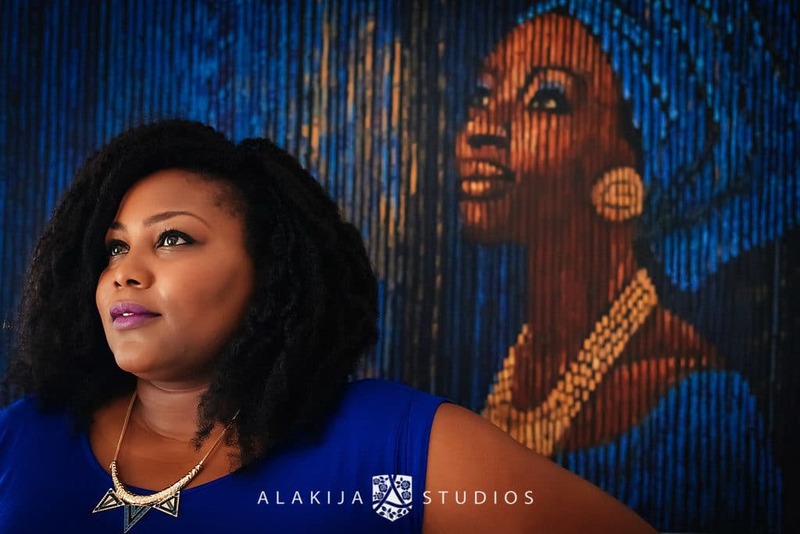 Her work has appeared on the BBC, Al Jazeera, Huffington Post, BellaNaija, and The Guardian. She is a multifaceted artist, encompassing a wide range of art forms to find new ways to engage with people. Poetry started for her as a source of catharsis – she wrote her first poem when she was 16 – while journalism is what she trained to be. Wana grew up in a patriarchal society, raised by a divorced mother who found her way through financial and emotional struggles. Her childhood was marked by a kaleidoscope of domestic violence, and she soon learnt to scream every time she saw a man beating a woman. And she, obviously, became a feminist. So she did later on, during her professional life, when she had to face gender discriminations again. In all kind of situations. Today, her shouting against societal norms is being translated into significant art works, such as “This is not a feminist poem”. 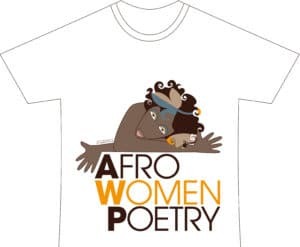 And despite all the struggles, Wana believes this is a beautiful time to be a woman. “We are in an era where big conversations are happening around womanhood, re-imagining our roles and ways of being, and I think it will only get better. I am inspired by the different ways that women stand up for themselves, and are constantly navigating through the waters of patriarchal traditions to take up space. Some of those women are known and some are everyday people whose names will never make history books. It is that spirit that inspires and moves me constantly.”. For Wana, feminism creates space for women to have choices, like a home where each one finds a room that makes them feel comfortable without force or prescription. Anyway, women face the same prejudices all around the world, in Europe as in Africa and everywhere. One is about physical aspect which is required to be perfect and good looking. What if is not like that? “Shrink“, a short movie written, directed and produced by Wana addresses this topic with great sympathy. As Nigeria counts a huge amount of outstanding artists, in 2017 Wana created Culture Diaries, an archiving project where artists and culture creators sit down with her to have an honest conversation about their stories, challenges and perspectives. In the future, Wana hopes to create a multi-media style exhibition that combines poetry, sound and video in a gallery style space. What interests her the most is to create excellent, impactful and compelling work that resonates and continues to centre the human experience – and we are looking forward to seeing her exceptional production. It is a woman learning to trade possessions before her lover takes his last breath. She will never get the chance to say goodbye because those final hours are one match-point away from the backstroke of ravenous relatives. You see where we come from, widows learn to bid their dead farewell even before they are lowered into the ground. Because grief requires time and time is a luxury she cannot afford. It is a thirteen-year-old leaking between her legs. She cannot will her waste to stop because culture demands that babies must birth babies even before they are whole. This is Mercy, waiting to be fully formed before the doctors can fix her. We exchange broken smiles but mine is crackling with questions and I want to ask, how does a six year old ask to be gang raped for lunch after school? As she fiddles with the beads of a rosary that crawl around her neck, my lips are too drowsy to ask God why? It is the landlord who pays off your father to clench his teeth over choking tears for what his son had done to you. And your daddy knows that homelessness is too close to home so he washes of your shame with a sponge, dabs your wounds with scripture hoping those words will in turn douse the stench of the breath, erase the handprints that form maps across your skin, and glue together all that is broken of you. But instead memory has an interesting way of refusing to disappear, so this is how you exist with a tape loop in your head playing over and over again. It is men in uniform with bellies swollen from bribe, sworn to protect you but tell you that domestic matters are family matters. So you drink up your pain till you are full, your throat is parched and yet again you begin to thirst for it yet again. It is walking around with a womb too hollow to bear an heir that you take in the seeds of betrayal wanting it to pull together the remnants of matrimony. This is what it means to be a real woman. It is the girls who are sent to school only to come back home knowing that their future is dangling between their bodies and their silence, yet deciding which to betray first. You return to your job because this meager wage pays for your little brother’s tuition and your mother’s heart medicine. It is a reminder that you are click, you are bait, you are currency and by virtue of your existence you are only half human never equal, never the same.